Sydney Shop Girl: Books I've Been Thinking About Lately. I've been reading all sorts of books lately, most of which I've enjoyed immensely. 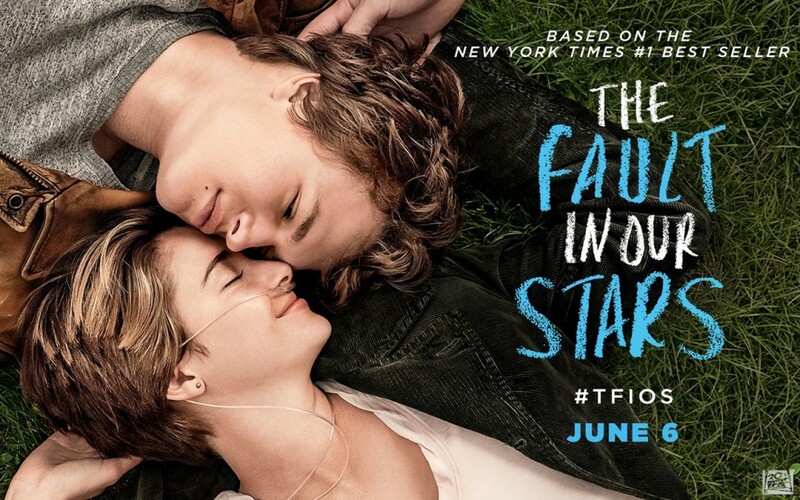 'The Fault In Our Stars' by John Green is such a perfect novel of teenage love and loss that I couldn't bring myself to watch the film because I was afraid that it would spoil my mental snapshot of the book. The protagonists, Hazel Grace and Augustus bristle with youthful bravado and sarcastic wit in the face of their terminal illnesses. Beneath their facades, though, are wise old souls made so because of the indignation and pain of their illnesses. Reading 'The Fault In Our Stars' was like going back to my teenage world and mindset, only with better comeback lines and witty repartee. And then there's 'Kate Gosselin How She Fooled the World' by Robert Hoffman. I've been struggling to think of how to write about this book or if I should even review it at all. The title pretty much says it all. The book is a 'tell all' about the 'real' Kate Gosselin behind the carefully cultivated media image and the mother she truly is when the TLC cameras stop filming. Originally published in 2012, it has been recently re released after threats of legal action from the Kate camp saw it pulled from publication after its original launch. It is uncertain why Kate backed down from the lawsuit she filed against Hoffman and her now ex husband Jon but once the legal action went away, the book resurfaced. Hoffman was initially employed by US Weekly to go behind the scenes with the Gosselin family as they shot what was then Jon and Kate Plus 8, my favourite TLC 'fly on the wall' 'reality' series about the seemingly 'charmed' life of Jon and Kate Gosselin as they navigated life with their twin daughters and sextuplets. I fondly remember nights sprawled on the sofa watching Gosselin family marathons revolving around trips to the beach, cross country road trips and the minutiae of everyday life with a rabble of boisterously adorable young ones. Why all the inverted commas? Because Hoffman's book goes to great lengths to provide the facts about how tightly scripted and planned the Gosselins lives were during filming, seemingly at the behest of matriach Kate. Hoffman did not actually interview Kate for his book but instead has collected damning evidence of her greed and thirst for fame from sources including emails, journals, accounts from her inner circle and financial data about the family's contract with TLC and their endorsements. The tone of this book oscillates between sarcastic and withering and paints a picture of a woman who actively pursued high order multiple births as a means to obtaining fame and wealth and who then saw her children as employees rather than innocent little humans she should be nurturing and loving rather than earning money from. There are personal slights aplenty from Hoffman who lived in the same area as the Gosselin family. He recounts times when he's been at the supermarket at the same time as Kate and was able to see first hand that the impression she cultivated of going everywhere with all eight of her children to do everything a 'normal' mum does with fewer children was in fact a fallacy. He tells of the number of times she's been off fake tanning or have plastic surgery procedures while nannies see to her children and personal chefs to their meals. He's taken entries from her public blog and compared them to her private journal entries about the same life events to demonstrate Kate's ability to evoke sympathy from her fans by slightly airbrushing the facts. It's like reading a US Weekly article in novel form. There are verbatim inclusions of all kinds of personal documents to pad out the pages. Hoffman outlines his reasons for writing 'Kate Gosselin How She Fooled the World' in his introduction to the book. It wasn't for money or fame (though he does have a family to support) but rather to somehow help the Gosselin children as they navigate life with their mother post filming (the Gosselin family series have now been stopped production as far as I can gather). It's not clear to me exactly how a scathing portrait of their mother by a man who is meant to be their father's friend helps them with the behaviour and anger management issues they are already experiencing (according to the book). Perhaps the book's more powerful role is to serve as a cautionary tale to all of us who blog or share information about our families online. How fair and right is it for us to share every detail of our children's activities and appearance in an arena where that information can then be used by someone else to judge and criticize both the author of the material and subject who never consented to it all in the first place? I can't read sad novels. I attempted reading "The Kite Runner" for the second time, but I just found it too depressing. I've just finished "Sharp objects" by Gillian Flynn, the author of Gone Girl. I am now reading "Think like a freak" by the authors of Freakonomics. I always question the motivation of those in "real life" families doing a TV show. Give me the X factor or Masterchef as a reality show any day. Does 'Think Like A Freak' require lots of brain power and concentration? Will need to work up to it if so. I've watch many episodes of the Goslins. I'm fascinated by the process of raising so many young children. I don't think this book would change my opinion. I don't think the show ever portrayed Kate as very likeable, but I have no doubt she loves her children wholeheartedly and puts their needs first. Can't blame her for relying on nannies- she has 8 children! Now that you mention it, Kate wasn't portrayed as flatteringly as what the book makes out. Sorry meant won't spoil book. Was up from 4.30am with sick child. He's much better thankfully. Enjoy the movie. I actually found the book and other books by John Green at the Scholastic sale held at one of the big venues at sydney Olympic park. If there's another one on soon, i'll let you know. A friend told me about them 2 years ago. Thanks for the heads up re the Scholastic sale. Glad he's well. Seeing them back to full strength is both a relief and a sweet reward for the sleepless nights and worry. I loved The Fault in Our Stars. I read it on the train from London to Cardiff and I laughed and cried and blubbered. It's just wonderful. So wonderful. The love the two main characters had for each other reminded me of mine and Adam's love. The movie was great too and we saw it together. Beautiful response to the book, Carly. Oh no no no no... not Kate. I can't stand that show, the disgust she had for her husband and the way she treated the boys. The book confirms it all. So sad. She's at a difficult stage of her 'career'. So very sorry for the children.